Designing of air conditioning for different kinds of premises. I can definitely say that design of air conditioning system is the stage at which the whole concept of the future air cooling system in your home, apartment or office space is determined. 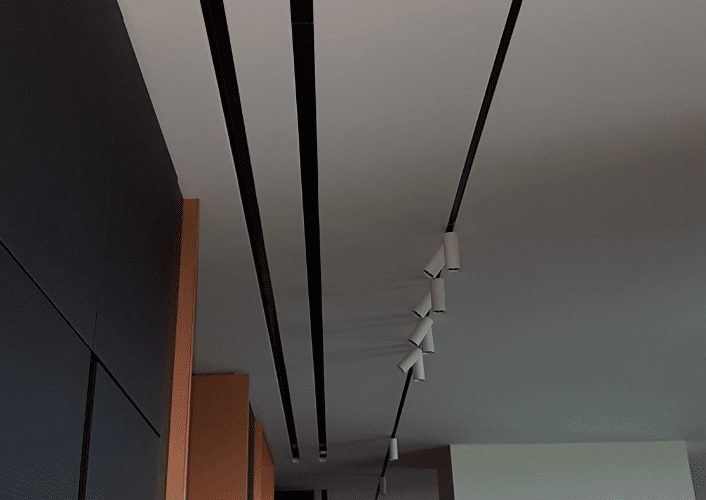 Its value shouldn’t be underestimated: the development of drawings, the preparation of tasks for the installation teams and a clear understanding of how it should look in the final result. And others – are important and determine the qualitative work of the whole air-conditioning system. It is necessary to separate the areas of responsibility of each engineering system. If we are talking about a cooling system,that is, a temperature chart for comfortable staying in a room – it is a conditioning system (channel, wall-mounted or any other type). In the case where we need fresh and clean air, saturated with oxygen, the ventilation system is the one, which is responsible for this function. So, how should proper conditioning design look like? On the first place, the calculation of all heat inflows entering the premises: the walls, windows, roof. I will allocate the largest heat inflows, if we are talking about heat gains in the house – this is the roof and double-glazed windows, for which we are asking passports and technical documentation. This information gives an insight into how the roof is built and insulated. Thus, all the data for the heat gains is collected and then displayed in the form of a table (see Table 1). According to this data, we select the most suitable air conditioning system: channel, wall-mounted, multi-split system, VRV or multizone system – everything depends on the overall area of the room and the tasks that are set for us. all elements that can be read at any time in the drawing (see Figure 1). 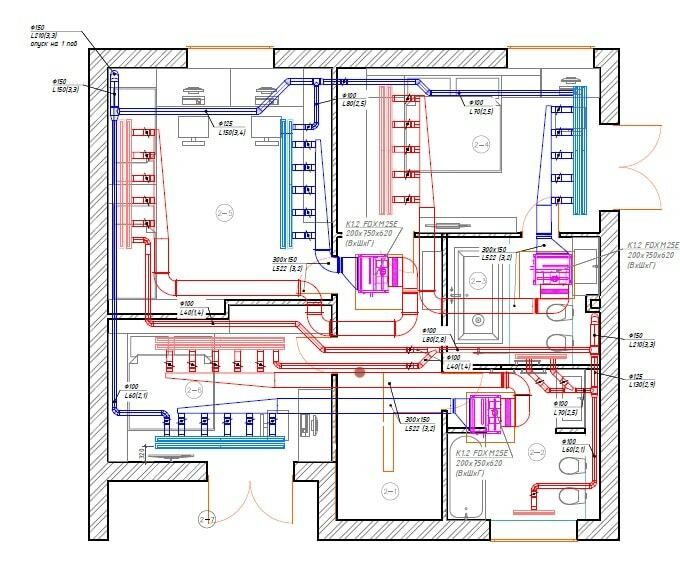 Figure 1 – Project drawing of air conditioning of the second floor in a two-stored private house. Subsequently, according to these drawings, the system will be installed. Detailed analysis at the designing stage of this system makes it possible to plan related works, as well as provides a high-quality task planning for workers. The main factor in the implementation of this internal engineering communication is zoning. Rooms in the house or apartment are located on different sides of the world, have different area and purpose. For example, bedrooms. It may be master bedroom or children’s. When the cooling of the entire premise is tied to one channel conditioner, it is impossible to adjust the temperature for the zone where the child is or turn off the entire device. Therefore, the air conditioning system itself cannot be planned as integral one for the whole apartment or house, but only by zones. Important! Each unit of the system is responsible for the temperature in each zone separately. dimensions of plenum boxes or adapters. Many years of experience in the development of projects of varying complexity gives me the opportunity to pay attention to all the minor and major aspects, to calculate them and to avoid mistakes. And one more important point that is worth your attention! In the ducted air-conditioning system , the consumption of electrical power depends on the number of indoor units connected to it. For example, if there is air conditioning in a residential building with one external unit and five internal ones of any type. At one time, one indoor unit is turned on, then there is one electricity consumption, if two – then the consumption of electrical power goes for the two devices. The total consumption of all operating indoor units of air conditioners determines the total output of the outdoor unit. Only propercalculation of the air conditioning system, taking into account all the design nuances, guarantees safe and long-term operation of the devices. To exclude the possibility of errors at this stage of implementation of engineering communications, you should responsibly choose the organization. It is better to spend some extra time searching for competent specialists than to pay in the future with the same time but much greater material costs.